A decade ago, if you could point to the Vipava valley on a map you were probably a paragliding fan. Or you lived there. That’s changing fast though, as the spectacular (and spectacularly windy) valley that runs east-west across western Slovenia becomes increasingly recognised for its over-performing wines. Hitherto, its neighbour to the northwest, Goriška Brda, has tended to lap up most of the international attention – in part due to its proximity to the prestigious Italian Collio. In 2017, Brda’s tourist board and local winemakers inaugurated an annual press event around their most important indigenous grape variety: Rebula. 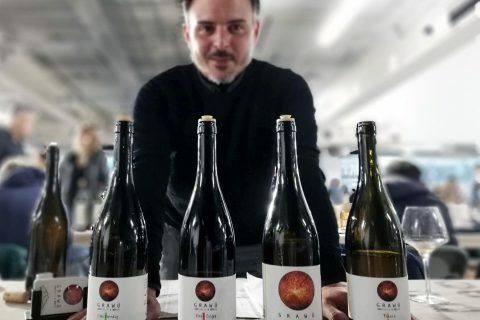 In a move that felt decidedly competitive, six of Vipava’s top growers then launched a counter-attack in 2018, with a similarly titled event “Vipavska Rebula” (Lit. Rebula of Vipava) subtitled “The emperor’s choice since 1503”. 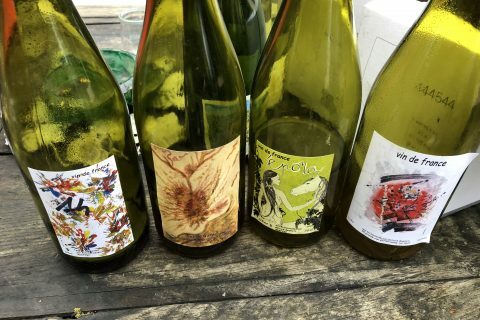 As Vipava has arguably always been better known for its white blends, and its indigenous varieties Zelen and Pinela, I was puzzled – why all the Rebula-love? The event itself was a dream date for any Slovenian and/or orange wine fan – no surprise given the six stellar producers who organised it: Batič, Burja, Guerila, Mlečnik, Slavček and Svetlik. It also offered a series of informative lectures from local winemakers and academics, given in the atmospheric cellars of the historical hill town Vipavski Križ. Edvard Svetlik briefly introduced the fabled letter from the emperor that had brought us all here (more of that shortly), then Primož Lavrenčič introduced “Vinoreja”, the seminal work on wine production authored by local priest Mateja Vertovec in 1844. Agronomist/scientist Dejan Bavčar delivered a fascinating summary of his doctoral research into the effects of skin maceration on the popular Vipava varieties Rebula, Zelen and Malvazija Istarska. It offered compelling scientific vindication that maceration really does bring out the best in Rebula, massively amplifying its extract and phenols, and gently accentuating some of its more volatile aromatic compounds into the bargain. Bavčar seems like gold dust to me – a scientist keen to understand and quantify his home region’s traditions, rather than just destroying them in the name of progress. Matjaž Lemut (winemaker for Svetlik and at his own estate Tilia) and academic Dr. Borut Koloini gave a rundown on land ownership in Vipava and how it had influenced the development of wine cooperatives. Finally, Mojca Mavrič Štrukelj filled in the gaps concerning modern-day viti and viniculture in the region. 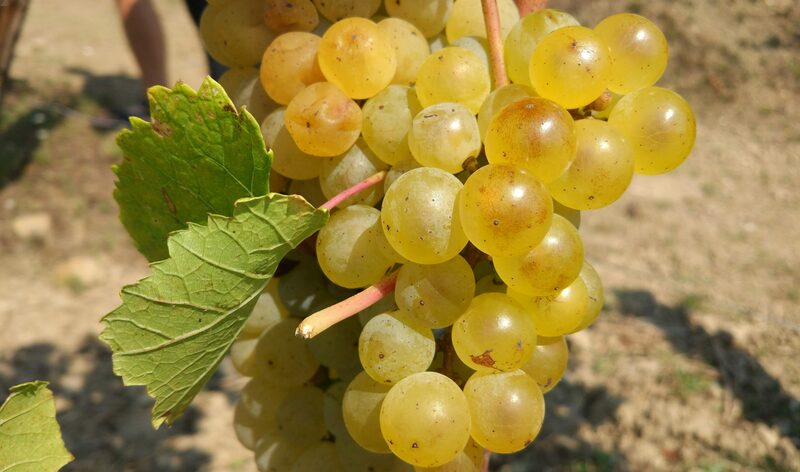 Rebula’s importance to the region was acknowledged, even though Bavčar’s words still rang in my ears: Rebula’s vineyard surface has decreased by 20% over the last decade,and it is only the third most popular variety in Primorska after Merlot and Sauvignon Blanc. So why the focus on Rebula? “The emperor’s choice” moniker refers to a historical document from August 18th 1503, unearthed recently by Professor Sergio Tavano from the Universty of Trieste. Edvard Svetlik, a good friend of the professor’s, excitedly saw the significance for his region – the document is an order from Emperor Maximilian I for the best wines from the Vipava valley, and also for a wine known as ‘Rainfal’ in German or ‘Rivoglio’ in Italian. Somewhere along the way, rivoglio seems to have been interpreted as a synonym for Rebula, so Svetlik saw the document as proof that Rebula from Vipava valley had been very highly praised over 500 years ago. It’s on this basis that Vipavska Rebula was organised on August 18th 2018 – exactly 515 years later. It’s a good story, but not quite accurate. 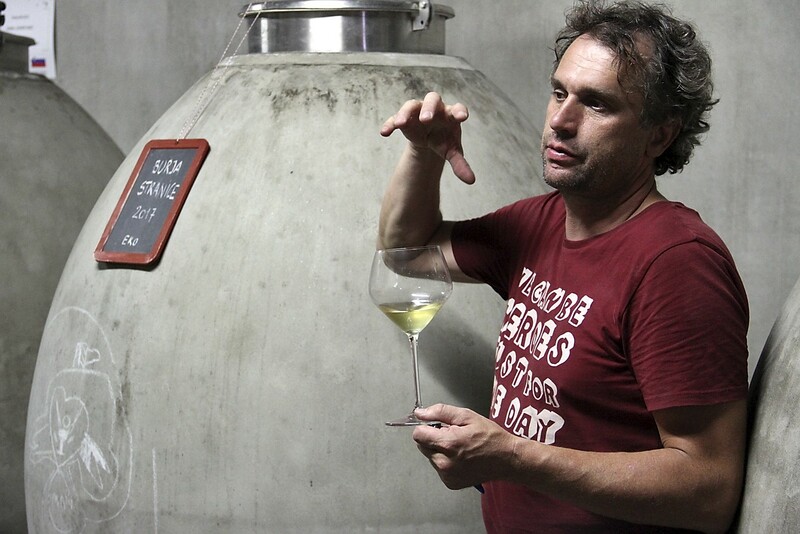 As detailed in this exhaustive article by Slovenian investigative journalist Tomaž Klipšteter, there is almost certainly no link between the reference to ‘Rivoglio’ and the mention of the excellent wines of Vipava. Furthermore, rivoglio probably refers to a popular (perhaps sweet) wine of the 15th and 16th centuries which came from Istria. There are plenty of references to it – André Simon’s History of the Wine Trade in London (1907) refers to it as a popular import from Istria, as does John Varriano’s Wine: A Cultural History (2010). This did not stand in the way of Vipavska Rebula’s organisers, who steadfastly focused the event around this single variety – even if they almost shot themselves in the foot with the grand tasting, since one of the main organising wineries (Burja) does not make a varietal Rebula. The solution was to present both varietal wines and blends, which made for an excellent if extended session that certainly taxed the attention-spans of some of the invited guests. The tasting proved that there is an impressive amount of very fine wine being made in the valley. A total of 18 wineries showed their wines, and the consistency was notable. If sins were committed, the issue tended to be over-oaking – or at least, overly present oaky characteristics in the finished wine. Particularly exciting was the chance to taste wines from producers who are not yet known outside the region. My top discoveries of the day were unquestionably Vina Zgonik and Vina Ušaj (no website), both making outstanding macerated Rebula. Slavček – Rebula Klasika 2012 Ostensibly the fresh wine from Franc Vodopivec’s production, but he still ages it for years before release, and gives it 6 days of skin contact. Lovely tension, elegance and balance. 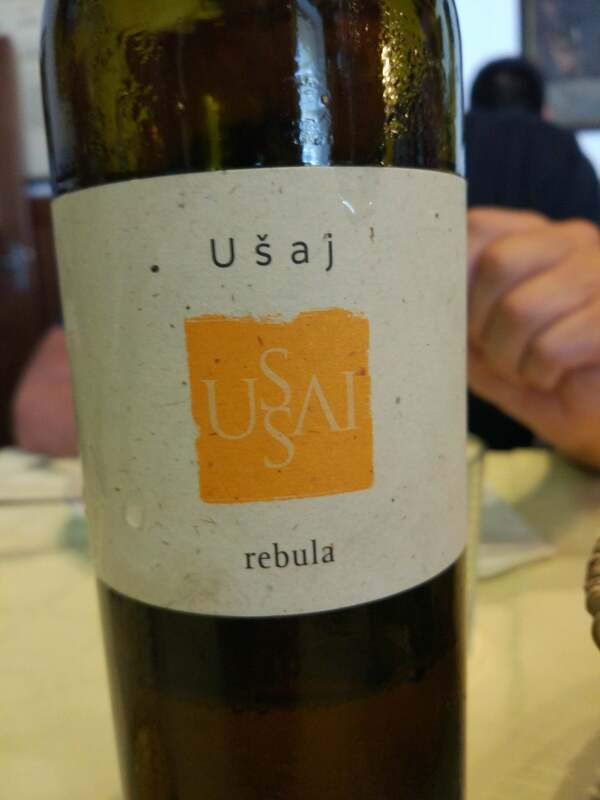 Vina Ušaj – Rebula 2012 Nicely matured (this was the current release in August ’18), a great example of macerated Rebula with spiced apple, honey and nutty tannins. * Vina Zgonik – Rebula 2015 Extremely herbal, expressive, grippy and complex. Quite profound. Svetlik – Rebula 2011 Herbal, spicy and harmonious – a real feeling of completeness and perfect maturity. Not about the fruit, but that’s fine. * UOU – Rebula Ivanka 2016 Achieves something very rare – an intensely aromatic, fruity nose plus the structure and depth of a macerated wine. Very old vines played a part here. * JNK – Rebula 2009 Lively acidity, lemon peel, honey, smoked hay, very fine but grippy tannins, a feeling of youthfulness – this is still a baby. ** Mlečnik – Rebula 2009 Electric energy, somehow balancing the ripe character of the vintage with real tension. Earthy and figgy, dried herbs, restrained yet profound. * Burja – Bela 2017 Malvazija/Rebula/Welschriesling/Others. Ripe fruit with herbal and citrus notes, sage & tarragon. Super young but already so expressive. Guerila – Retro 2016 Rebula/Zelen/Pinela/Malvazija. Very pretty peachy aromatics, nicely reigned in, nutty and herbal finish. * Burja – Stranice 2016 Malvazija/Welschriesling/Rebula/Others. Such amazing fruit definition with hints of herbs, hay, butter. Soft, seductive and elegant. * Batič – Angel Belo Grand Cuvée 2011 Pinela/Chardonnay/Malvazija/Rebula/Welschrielsing/Zelen/Vitovska. Silky and luxuriant, buttery character (maybe from Pinela, not from oak?). Such refinement. * Mlečnik – Ana Cuvée 2011 Chardonnay/Rebula/Malvazija/Friulano. New vintage for this classic, a perfect mashup of Rebula’s raspy structure with Chardonnay’s finesse. Hugely characterful, with beguiling suggestions of orange peel, roasted herbs, preserved lemons and general wildness. Other wineries who exhibited their wines included Bizjak, Ferjančič, Jamsek, Lavrenčič, Pasji Rep, Posestvo Berce, Stokelj and Sutor. 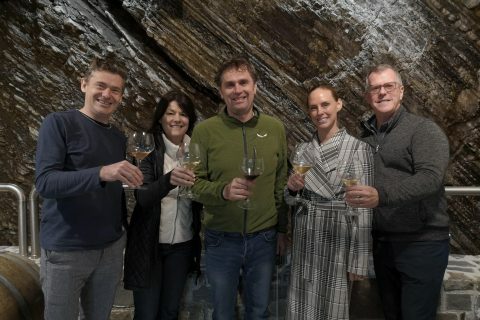 The day was a great opportunity for Vipava winemakers to show the world that their region is one of Slovenia’s best – and that the valley should be famous for more than extreme sports. My only reservation was the focus on Rebula. Vipava has its own treasures, indigenous varieties and a documented grand tradition of blends. There seems little point in trying to go head-to-head with neighbouring Brda (where Rebula really is the key focus) – why not also celebrate (for example) Vipava’s varietal wines from Zelen and Pinela, its lip-smacking reds and the historical quirk that Barbera is plentiful in the region. It’s to be hoped that this event becomes an annual occasion, but perhaps the organisers will reconsider the tenuous (at best) historical link with Rebula and widen the topic to simply the Vipava valley. The region can easily stand on its own two feet when it comes to quality wine. Founder of The Morning Claret, columnist for palatepress.com, regular contributor to Decanter and Meininger Wine Business International. Based in Amsterdam. Likes cats and difficult music. Hey Simon, very interesting post, rare vienyard and rare variety. I shared the post in my Sunday wine blog review, it’s here – https://www.winester.org/feb03-blogs-to-read – in will translated into Japanese also. Thanks for dropping by! Well, Rebula isn’t particularly rare in Slovenia – or Friuli. It’s one of the main grape varieties in these regions. 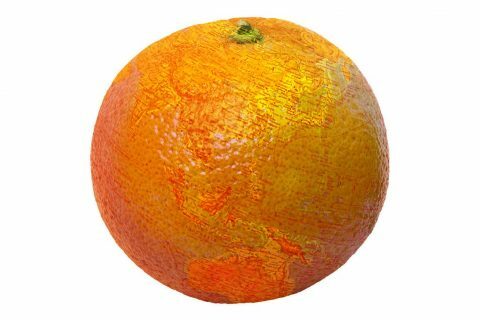 But of course it is not so well known globally. Yes, that’s exactly what I meant. As for Friuli, I’m a great fun of its wines, especially Vitovska and Picolit. Buy them without hesitation wherever I find them, though it’s not happen often. And I’m sure that there’re one of the best Sauvignon Blancs in the world. Again not frequent guests on shelves. By the way, I published Japanese translation of the recent post, pls find it here – https://www.winester.org/feb3-wine-blog-review-jp. 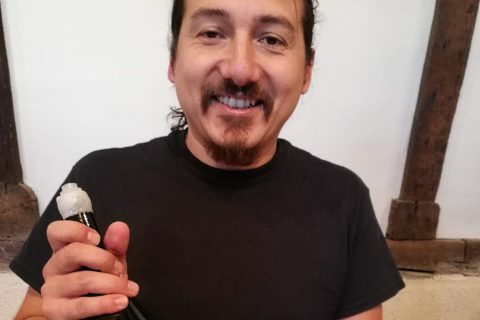 I really feel sort of growing interest from japanese guys, for now in addition to reviews they would like to publish an info about not commonly known wines – like tasting notes for Swiss or Arizona wines. of course – Slovenia. Gonna write some articles. In general it looks like it might become an interesting project. Periodically I’m going to send newsletters, will be very glad if you join.